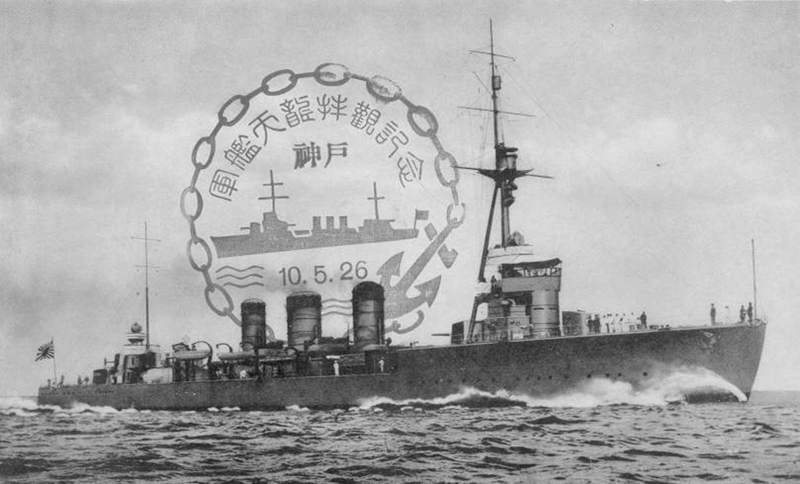 The 天龍型軽巡洋艦 Tenryū-gata keijun’yōkan or Tenryū class has been the IJN first light cruisers. 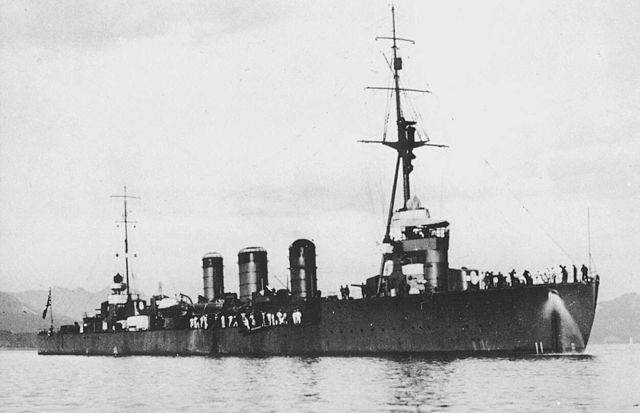 If the ‘three and four pipers’ cruisers of the Kuma, Nagara and Sendai classes are better known, they constituted an evolution of two precursors, built during the great war. 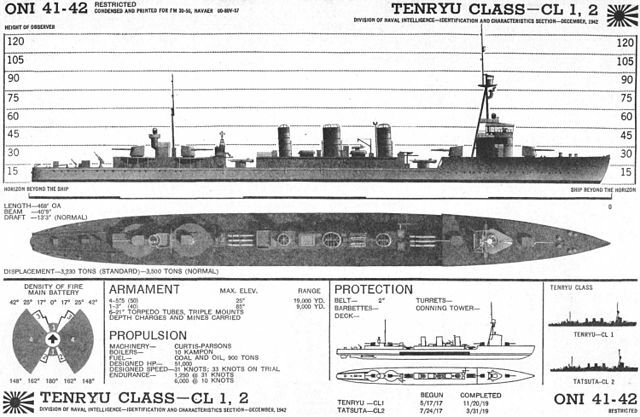 Indeed, the Tenryu and Tatsuta were defined by the Admiralty in 1916 which wanted a kind of “super destroyer” based on the British design of the Arethusa and “C” class cruisers. 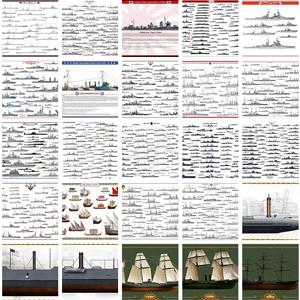 Under the name of project 33, these ships were laid down in 1917, two months apart, at the Yokosuka and Sasebo shipyards. They had been defined as capable destroyer leaders moving at 33 knots, flagships for destroyer flotillas. They also received the new 140 mm cannons developed for the Ise class battleships. They were also the first to benefit from triple torpedo tubes banks. By doing so, the admiralty defined the first IJN light cruisers, as Previous ships indeed has been protected or armoured cruisers. 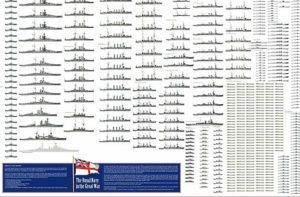 The closest ships in the same area has been the Chikuma-class cruisers (1918), modelled after the Town class cruisers, but still defined as protected cruisers rather than “light cruisers”. The admirarlty wanted a design in between these 5000 tons ships and the 1400 tons destroyers, the largest then on offer, the Kawakaze-class. However with its price tag (4.55 million yen apiece) and after thought limited capabilities, this design was not followed. The Kawakaze was almost as well armed but much faster, and later designs like the AA American cruisers of the Omaha class and British Dido proved much better on the other side of the spectrum. By 1935-1936 the admiralty discussed planes for a conversion into a true specialized AA/ASW cruiser with eight 127 mm guns in dual turrets, eight 25-mm guns and four depth charge launchers, new boilers with one single truncated funnel, but although it was registered in FY 1937, this never happened due to Japanese Shipyards already full capacity. 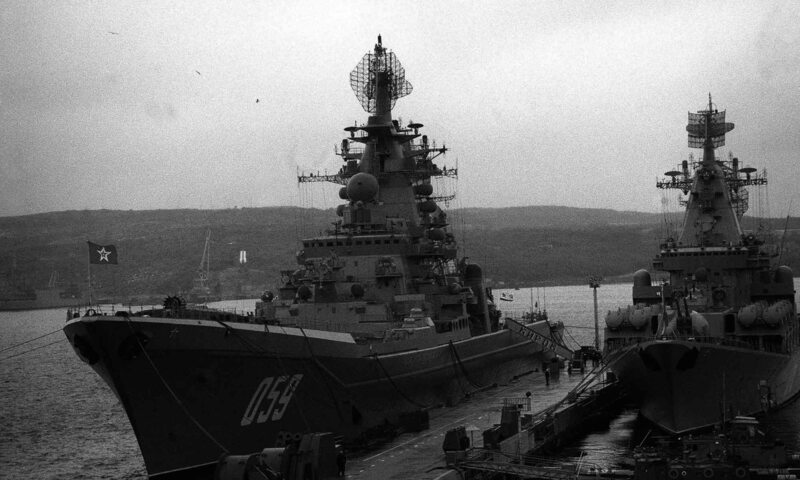 Later yet another conversion proposal stated the ship could be converted with the simple addition of eight Type 98 76.2 mm guns, but the plan, again, never materialized. In fact Japan will have its specialized dual purpose “super-destroyers”, the Akizuki class in 1942. However by the time they were constructed, these small cruisers multiplied innovations. Despite their small size, they had more horsepower per ton than the Chikuma, thanks to the combination of oil-fired boilers and Brown Curtiss geared turbine engines. The three set of turbines gave the record 33 knots (61 km/h). Yet as coal depots were still numerous, two of the boilers were mixed-firing. However on the armament sizen even by the standards of the time she was weakly armed, with only four main gun, individual mounts on the bridge axis. However these were brand new 14 cm/50 3rd Year Type naval guns, also used on the Ise battleships. The lack anti-aircraft guns was not yet considered as a weakness yet, though. 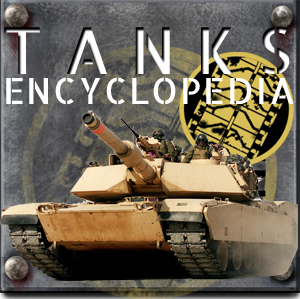 This battery was composed of single dual-purpose 8 cm/40 3rd Year Type naval gun, and two 6.5 mm machine guns. Also for close quarters and like the destroyers she resembled and she was to lead, the Tenryu were equipped for the first time with two triple Type 6 21-inch torpedo launchers, centerline-mounted without reloads. Finally, the armour was the lightest yet for a cruiser, designed primarily against the 102 mm weapons used by the mass-built United States Navy destroyers. Although no conversion ever took place, in 1930 and 1933 respectively both Japanese light cruisers were renovated: A a modified bow superstructure was fitted, the canvas sides being replaced by steel plates, the mast were lowered to improved stability and in 1936, the bridge was reinforced by additional steel plating against shrapnel. In 1937 at last AA threats were recoignised with the addition of two Type 93 13 mm AA HMGs in single mounts. They were fitted on platforms close to the first funnel but were replaced in 1940 by much more efficient twin-mount Type 96 25 mm AA guns. By 1937 also the 8 cm/40 naval guns were obsolete and they were removed. However since these vessels were second rate when the war started, wartime modifications were light, with only two Type 96 25-mm twin mounts fitted when the ships were anchored at Truk in February 1942. Tatsuta however would receive a fifth Type 96 twin mount (August 1943 refit). The Tatsuta however apparently kept her own 78 mm on the rear deck. During their long active career (they were launched in 1918 and completed in 1919), both cruisers were too weak compared to the standards for IJN cuisers and were considered second-class. They mostly performed as escorts. In short, the Tenryu was sunk on December 18, 1942 by an American submarine, the USS Albacore. The Tatsuta survived until April 1944, to be torpedoed and sunk by another submarine, the USS Sandlance. Prior to the war, IJN Tenryu participated in the Siberian Intervention. She also performed Yangtze River patrols and when the war started, she supported Japanese landings along the China coast. 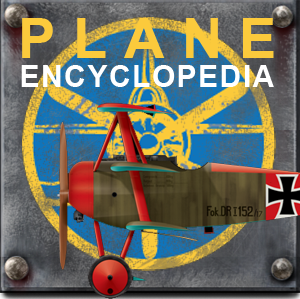 She participated in the Battle of Wake Island and the invasions of the Solomon Islands. She also took part in the New Guinea, Tulagi campaigns, and the famous Battle of Savo Island, during which she apparently torpedoed the USS Quincy (CA-39). She was sunk after the Battle of Guadalcanal by USS Albacore, and struck on 20 January 1943. The IJN Tatsuta also participated in the Siberian Intervention, and also covered IJN troops landings of along the China coast when the war erupted. She took part in the Battle of Wake Island and the Solomon Islands landings. She was also in action in New Guinea, Tulagi, and also took part in Battle of Savo Island, and later the Naval Battle of Guadalcanal, but survived unlike her sister-ship. So she was retained in Japanese home waters because of the lack of spare oil as guardship in 1943, performing training duties, but sunk 13 March 1944 en route to Saipan in her last, one-ticket mission by the submarine USS Sand Lance, approximately 40 nautical miles or 74 km north-north-east of Hachijōjima. She was struck on 10 May 1944 and broken up later. Despite their age, both cruisers were thrown into the furnace of the Pacific war to the full.